How are the results of your recent MassDOT research project being implemented in Massachusetts? These experimental mixtures included several pilot projects using the superpave mixture design methodology, utilization of warm mix asphalt technologies, asphalt rubber mixtures, latex or polymer modified asphalt mixtures, and reflective crack relief layer mixtures. All these types of mixtures were placed to achieve a longer service life and specific outcomes in terms of performance of the pavement. A total of 12 field projects were identified for inclusion in the study. For each project, a plan was developed to monitor the experimental mixture performance using condition data (distresses, rutting, cracking, roughness, etc.) that would be measured periodically over the duration of this project. The rehabilitation process of Massachusetts aging bridge infrastructure has been complimented by this research. Generally, based on the monitoring plan and associated thresholds for condition indices, the experimental mixtures placed at the selected projects have provided acceptable performance in terms of cracking, rutting, and ride quality. Furthermore, the results suggest that the experimental mixtures are ready for further implementation by MassDOT. Has this new method, practice, policy or material reduced the cost or improved safety or efficiency at MassDOT? Speaking with Ed Naras, he indicated that the collaboration on pavement management between MassDOT and UMass Dartmouth Highway Sustainability Research Center, has been successful over the years. Ed Naras, who works directly with Dr. Mogawer, indicated that the focus of each project is to improve the functional and structural capabilities of the roadways and bridge decks with consideration to make them more cost effective and environmentally friendly. What are Massachusetts future priorities for implementing this research? MassDOT will focus future research efforts on building on this work, improving paved roadway sustainability through increased recycling use, using environmentally friendly technologies, increasing pavement preservation activities, designing resilient roads that can withstand the effect of climate change, and designing asphalt mixtures that have balanced performance. Interview conducted by Matt Mann, Research Program Coordinator with Dr. Walaa Mogawer and Ed Naras. In the early 1990s, the Federal Highway Administration (FHWA) established the goals of diversifying its workforce and reaching more underrepresented groups of students. FHWA sought to provide as many as possible with opportunities to expand their STEM (Science, Technology, Engineering, Mathematics) knowledge and to encourage them to pursue transportation studies and careers. The FHWA then created the National Summer Transportation Institute (NSTI), and since the program’s start twenty years ago, thousands of students have participated. NSTI programs are held each summer at various colleges and universities throughout the U.S. They offer high-school and middle-school students the opportunity to learn about different transportation fields, to meet with transportation professionals, and to build STEM skills, including those used in transportation careers. In the summer of 2017, in Massachusetts, the NSTI program was held at the University of Massachusetts-Amherst (UMass-Amherst). Over the past six summers the NSTI program at UMass-Amherst has hosted close to 100 students in total. A defining feature of the NSTI program is that it is 100% free for all participants, including classroom activities and real time experiences in the field. Some NSTI sites have residential programs and others are commuter-based. In the residential programs, the program pays all room and board costs. Another defining feature of the program is its emphasis on having diverse participants, including economically disadvantaged or at-risk students, and students with disabilities. For the past two years, the NSTI program at UMass-Amherst served high-school students and included both commuter and residential options. In 2017, the program drew participants from Massachusetts, Connecticut, New York, Illinois, California, Puerto Rico, and an international student from Honduras. Eighteen students participated in 2017, including 12 residential students and 6 commuters. Thirty-nine percent (39%) of this year’s participants were female and half of them (50%) were Hispanic, Asian, African American or multiracial. The 2017 UMass-Amherst NSTI ran for 3 ½ weeks. The curriculum was wide-ranging and multi-modal, and each week focused on a different mode or aspect of transportation and transportation research. Transportation topics covered in the curriculum included aviation and air traffic control, water transportation, bus transit, rail transit, autonomous vehicles (both on-road and aerial, aka drones), driver training and safety, driving simulation, sustainability, pedestrian and bicycle infrastructure, and transportation financing. Students gained both general knowledge on these topics as well as technical skills. They conducted hands-on transit counts, vehicle speed monitoring, bridge infrastructure reviews, and Unmanned Aerial Vehicle exercises in the field and in classrooms. They learned about software for bridge design, intersection analysis, and 3D modeling. The students met with academic researchers and transportation professionals in the public and private sector, and had multiple field trips each week. Over the last two years, participants visited the John A. Volpe National Transportation Systems Center in Cambridge, the Springfield and Northampton Amtrak stations, the Massachusetts Bay Transportation Authority’s headquarters in Boston and the field office in Northampton, the Westover Air Force Base, the New England Air Museum, the UMass-Amherst Transit Center, and the UMass-Amherst Police Station. The program also provided higher-education and career support for students, with sessions on resumés, internship opportunities, online career and job sites, and college-test prep. The students were encouraged to give daily feedback on the program and asked to provide an overall evaluation at the end of the NSTI session. Of the 2017 participants, all but one said they would recommend the program to a peer or friend. The feedback received will be used to improve the program in future years. Other universities that have run NSTIs include the University of Massachusetts-Boston, which had a commuter-program for 10 years, 2005 to 2014, and Vermont Tech, which ran two programs in 2017, one for middle-school students and one for high-school students. Massachusetts is one of twenty-nine U.S. states, plus the District of Columbia, that now legally allow marijuana for recreational or broad medical uses or both (full list of these states available here). The Massachusetts Executive Office of Public Safety and Security (EOPSS) recently launched a public safety campaign, Drive Sober or Get Pulled Over, to warn and inform the public about the impairments that marijuana causes in drivers and the increased driving danger when alcohol and marijuana are combined. Marijuana is proven to impact the brain’s ability to function properly. Marijuana’s primary psychoactive ingredient, tetrahydrocannabinol (THC), has been shown to slow reaction times, impair coordination, and decrease decision-making ability. One challenge for enforcement regarding marijuana use and driving is that impairment from marijuana is more difficult to measure than impairment from alcohol. There is currently no proven equivalent to an alcohol type breathalyzer test that measures blood alcohol concentration (BAC) levels to assess drunk driving. Unlike alcohol that dissolves in water, THC dissolves in fat. As toxicologist Marilyn Huestis discussed in an NPR story, this means that that the length of time that THC lingers in the body varies more than with alcohol, and is influenced by factors such as amount of body fat, type of cannabis product consumed, and frequency of use. It also means that a person’s blood THC levels may not directly correlate to when they are most impaired. Some states such as Colorado, Washington, Montana and Pennsylvania, define marijuana impairment using blood THC levels to legally define when someone is too impaired to drive. The state regulations in Ohio and Nevada determine impairment by blood tests and urine tests. The San Diego Police department, and other enforcement agencies in New York, Arizona, and Nevada, have been screening drivers for THC using a mouth-swabbing testing device (the Dräger DrugTest 5000), which can test for the presence of seven drugs, including marijuana. The marijuana test is for delta-9 THC, the active THC compound which creates the high from marijuana. Unlike other components of THC, delta-9 THC typically only stays in a person’s system for a few hours and not days or weeks. Stanford University researchers have been developing a saliva-based test for THC using magnetic nanotechnology. Recently, police departments have been pilot testing a handheld breathalyzer for marijuana detection from Hound Labs. The device measures delta-9 THC levels and is able to detect marijuana from either inhaling or edibles. Cannabis Technologies is also developing a marijuana breathalyzer. These THC detection methods are often used in conjunction with other field sobriety and impairment testing. In Massachusetts, Drug Recognition Experts (DREs) are specially trained to detect impairment from drug use. A full DRE exam takes about an hour and includes physiological measures (blood pressure, pulse, eye exams), and performance measures (balance, coordination). As described in a 2016 Boston.com article Massachusetts and other states are now offering a less intensive training, Advanced Roadside Impaired Driving Enforcement (ARIDE), which is still a step above typical field sobriety training. In a September 2017 Massachusetts Supreme Court decision, the Court found that police cannot use standard field sobriety tests to determine definitively that a driver is too high to drive. The court determined that the standard sobriety tests were developed to evaluate alcohol intoxication and there is not yet sufficient evidence that they are indicative of marijuana intoxication. 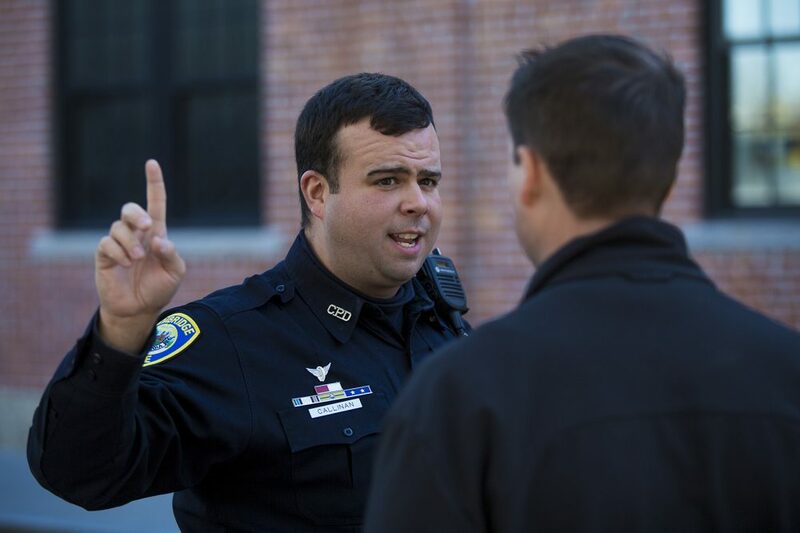 Under the ruling, police officers can still conduct field sobriety tests and testify about their observations regarding a driver’s demeanor and ability to perform physical coordination and mental tasks. Dr. Michael Millburn, a Psychology professor at UMass Boston, has been developing a smart device app to assess driver impairment called DRUID. This app has been designed to measure cognitive and behavior impairment from marijuana, alcohol, prescription drugs and other brain-based contributors to impairment, such as fatigue. It contains a series of four different tests for reaction time, errors in decision making, motor tracking, and time estimation and balance. The app then integrates the results of each of the individual tests into an overall impairment score. The tests are completed in 5 minutes total. The app was developed to help people assess their own impairment, but could also be adapted for police use. The app is currently being tested at Brown Medical School. Research shows that some types of marijuana have non-linear patterns of impairment following consumption. Apps such as this could be useful for supporting driver safety and important complements to other tools and tests for measuring THC, alcohol, and other substances that can impair driver performance.